You cannot escape putting down a rental security deposit when renting a property in Singapore (like in many other countries). Landlords need resources to repair and maintain their property. These deposits act as coverage against any possible damage caused by tenants and help landlords maintain their property. Even if it feels like a burden to pay, you also benefit from rental security deposits. The amount you deposit is enough to cover you for possible at-fault and no-fault property damages. In the event you miss paying rent (for valid reasons), the security cash deposit also pays for it automatically. 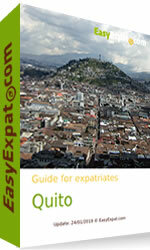 We are proud to launch our new city guide for expatriates in Quito, Ecuador. We wish you all a very happy year 2019! We are excited to start a new year at EasyExpat and BlogExpat. In 2018, we upgraded to a completly new forum, with plenty of new functionalities and tags to better classify your posts. Just before Christmas, and to finish this year, we are publishing for the 8th year the EasyExpat Best-of list for the funniest or most bizarre emails we have received in 2018. Taking advantage of new reports published in recent months on the cost of living in many cities around the world, we have now updated our cost of living comparison tool for the most popular destinations of expatriation. 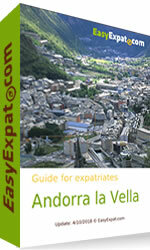 We are proud to launch our new city guide for expatriates in Andorra (and Andorra la Vella). 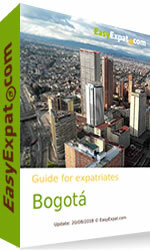 We are proud to launch our new city guide for expatriates in Bogotá, Colombia. 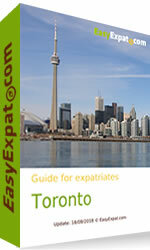 We are proud to launch our new city guide for expatriates in Toronto, Canada. 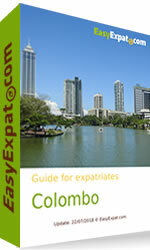 We are proud to launch our new city guide for expatriates in Colombo, Sri Lanka. In 2017, Paris had over 16 million visitors, making the French capital one of the most popular destinations in the world. There are many motives why French people, as well as foreigners, come to stay in Paris, such as family, tourism, but above all for business reasons. The quality of life in Paris is so appreciated that each time it welcomes more expatriates to discover the City of Light, for a stay of a few months to few years.